Medieval reward charts! Does your child like castles and dragons and knights? Then you've come to the right page! 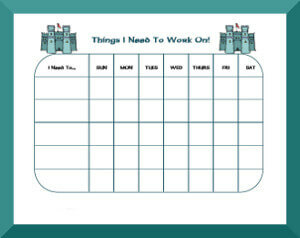 Your child will have so much fun working on behaviors with our medieval behavior charts. You can use the "comments" space to list rewards earned or comment on how the week went.